Always buy in pairs, unless you already have a spare. Insurance renewal based on 7500 miles. new rear suspension arms (outrageous price, btw. 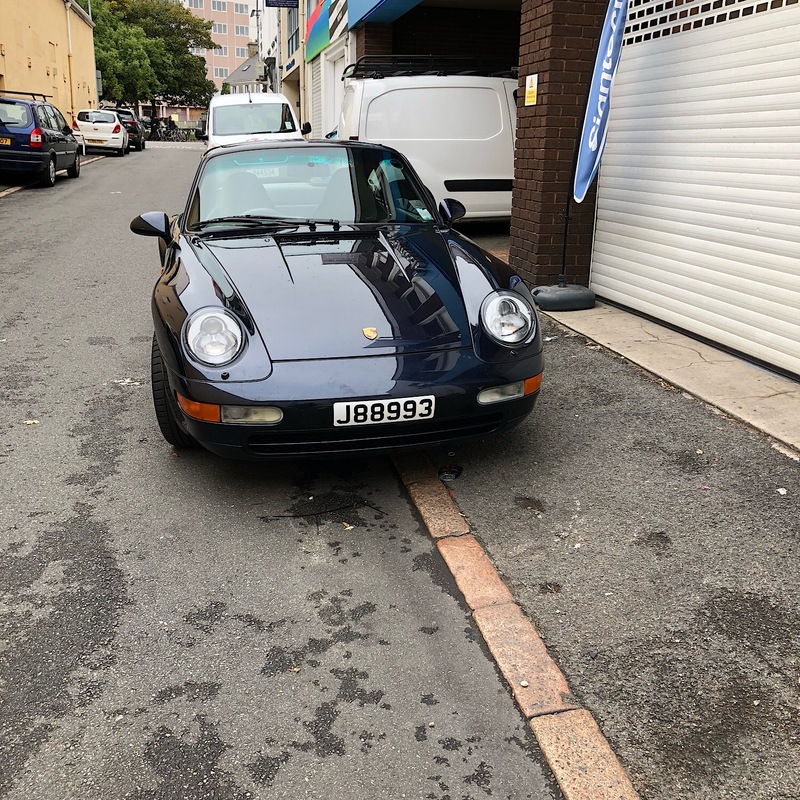 Porsche tax at its keenest), new rear top mounts (after 23 years, mine had a few cracks) and a new a/c evaporator(+10 hours to have it fitted, obvs) and a resistor thing for one of the fans at the front. New slightly smaller front numberplate as per below. Saving up for a full suspension refresh at some point early in the New Year - should hopefully be sorted wel before Spring. a new a/c evaporator(+10 hours to have it fitted, obvs) and a resistor thing for one of the fans at the front. Will be interested to see if the air con keeps working. 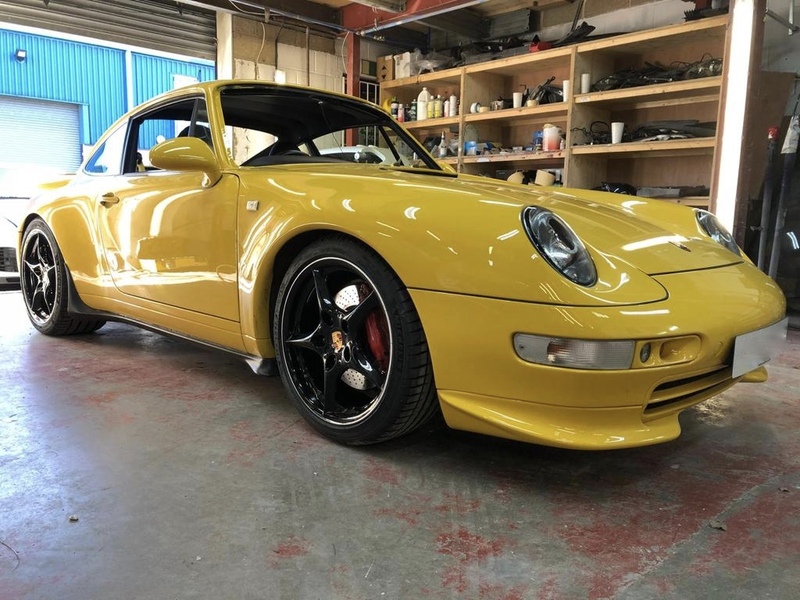 Porsche Classic oil service, inspection and mot at Portsmouth OPC. 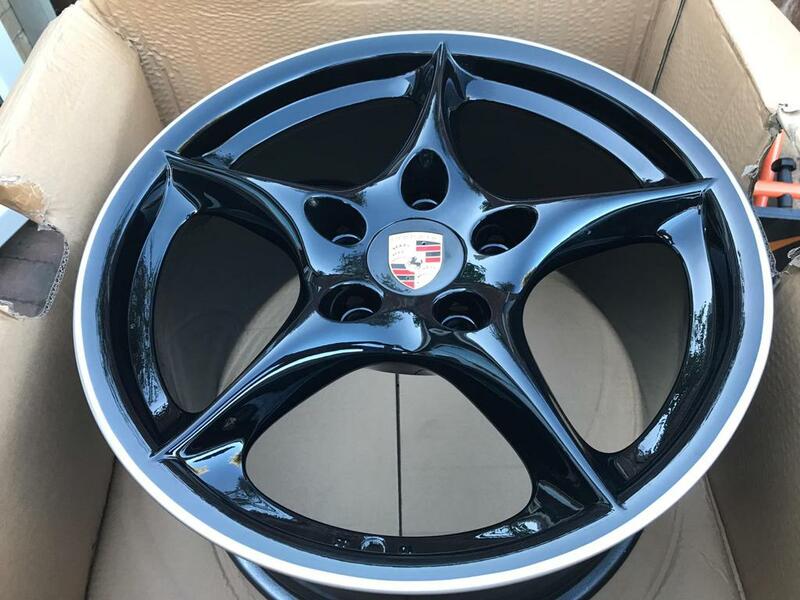 Plus the loan of a 718 Pdk Cayman which was great. Super quick and loads of tech but it is no 993! mine's in the shop getting its 24k service and new engine mounts as they're shot. going for the RS mounts - Jakal is v complementary of the effect new mounts, esp the RS ones have, looking fwd to getting the car back! Engine bay wiring loom recall FOC at Hatfield OPC and, while there, anti-roll bar drop links replaced. The various supports and mounting plates for the rear bumper, also inspired by a thread on here the relevant undercoat and rustproofing to prep them with. I'm quite tempted to take the job of fitting the parts on myself but as a (very) amateur mechanic I'm a bit nervous... thoughts? I'm reasonably handy and have the the requisite level of OCD but this would be a leap into the unknown. as a (very) amateur mechanic I'm a bit nervous.. 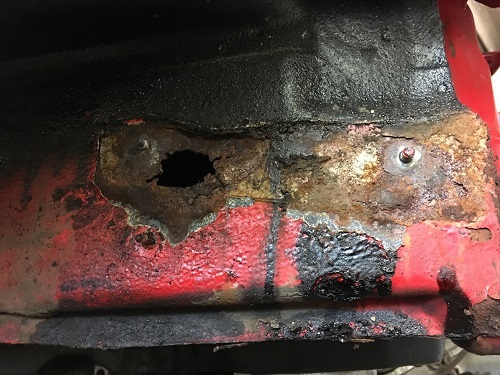 If you go ahead with replacement of the bumper support struts and investigate chassis leg corrosion be very aware that the fasteners with be corroded badly and it's so easy to fracture studs. PB blaster works well but localised intense heat i.e. cherry red is the best way to crack off seized nuts. I pinch Jamie Oliver torch from the kitchen, getting into trouble again when the Creme Brules are out. if your looking for support I am up in Aberdeen and happy to share advice and assistance, I have done more than. my fair share of chassis legs and restoration on these cases, its not a hard job, just involved and everything will be seized and a bit crusty, as ever it will cost more than you expect in brackets screws and fixings. well worth doing though, they all need it doing just differing levels of corrective works and that always the unknown till you strip them fully. It's a nice winter project. Excellent, I own at least two of these that get used once a year max. I'm enjoying the relative simplicity of the car. Oil top up is good first step! if your looking for support I am up in Aberdeen and happy to share advice and assistance. Thankyou. If I do take the plunge i will take you up on that! Nick, do you have a list of parts/numbers for a narrow body car? 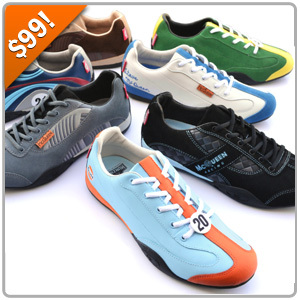 I've found the 993 pedals a bit close for my big plates of meat and if I'm on a long drive I wear Sparco racing boots. New set of brake flexy lines from HEL can't recommend them highly enough. Stainless fittings in all sorts of colours. The female ends swivel, making fitting them a doddle. Made in UK too. You can see the super glue on the old RS side skirts. Also reinstalled front screen and rear lightweight glass, seat backs repainted and interior tarted up a bit.